Kailey was just seven years old when she was diagnosed with a Craniopharyngioma brain tumor in 2002. For years, she had experienced symptoms such as constant thirst and urination, infrequent bowel movements, and her growth began to stall. After finding a new pediatrician who did not dismiss our concerns, she ordered a colonoscopy. At that appointment at Children’s Hospital, a lovely young doctor in her group asked to run a thyroid test. That blood work showed her counts were off the chart which is indicative of a tumor located on the pituitary gland. Kailey went in for her first surgery at Children’s Hospital Colorado on July 3, 2002. Dr. Kevin Lilihi from University Hospital completed a transsphenoidal (through the nose) surgery to pop the cyst and resect (remove) part of the tumor. A little over a year later, Kailey underwent the standard 6 weeks of radiation as the tumor had begun to grow. 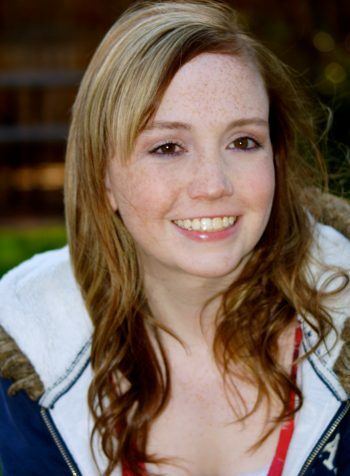 Over the next 13 years, Kailey would have five more surgeries to remove parts of the tumor that had grown or to pop the cyst. In that time, she experienced a number of side effects. Kailey lost peripheral vision in both eyes, experienced many of the endocrine issues that come with this tumor, received a shunt that came with its own complications, lost vision in her right eye due to nerve damage that caused her eyelid to close, and experienced horrible headaches and the eventual loss of vision in her left eye. Thanks to the ingenuity of Dr. Nick Forman and Dr. Mulcahy-Levy in the Neuro-Oncology department at Children’s Hospital Colorado, Kailey’s vision was unexpectedly restored in her left eye. They tried two drugs, one for the tumor and one to restore vision. Both were a success, for a while, but they eventually stopped working and this dandelion of a tumor started to grow again in 2016. This time, Kailey’s prognosis was very grim, there was nothing we could do and her health would decline over time. Kailey opted for one last risky surgery that might save what little vision she had left and possibly relieve some of the headaches and other hypothalamus issues. Unfortunately, our sweet Kailey did not survive the surgery. On March 2, 2017, she left us when God called her home and stopped her suffering. 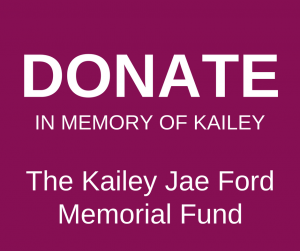 Kailey touched SO many people, from family, friends, and co-workers to Uber drivers. Her smile, friendliness, positive outlook, and her Faith were her strength. She remained hopeful everyday and overcame her challenges with courage. She was kind, friendly and she never judged others. Instead, looking pass their brokenness, Kailey offered her strength and the source of which it came.